So, I just watched the last episode of Oprah and I totally cried – like hard… not just tears streaming down my face – but full-on crying. And I never even watch Oprah! My friend taped it for me because she thought I’d appreciate the message (which I did – thank you Amie) about everyone having a calling. But yes, I cry kind of all the time – and it’s not usually because I feel sad for myself (though sometimes that happens too). Mostly I cry because I’m touched – or because I am sad for someone else – or because I’m super happy for someone else – or because I’m proud – or because a moment is powerful and uplifting. Like with Oprah – I was just thinking about what she must have been feeling as she walked off that stage for the last time – after twenty-five years – the audience crying and applauding. She came from nothing and look at what she built – it’s amazing and inspiring. Right?? Obviously I’m a big feeler – and when I feel deeply (which happens often) – all that feeling pours right out my eyes. Sometimes this can be an embarrassing trait, but overall I’m grateful to be such an emotional and feeling person. And who do I have to thank for this? Yup – I’m just like my dad. Every time I’m brought to tears by something I look over and my dad’s right there – crying too. I think it’s the sweetest thing. And I’m happy to carry a piece of my dad in me like that. It’s a little thing we share and it’s special to me. It kind of makes me want to cry just thinking about it. One of my favorite pics ever. I cry like your dad too. my fave pic ever as well! Thank you Cappy Hotchkiss Photography!!! Thanks for showing my femine side. I love you. Sorry about the spelling. I didn’t proof it. awww – love you Robin!! oh man, this post is awesome because i identify with all of it! 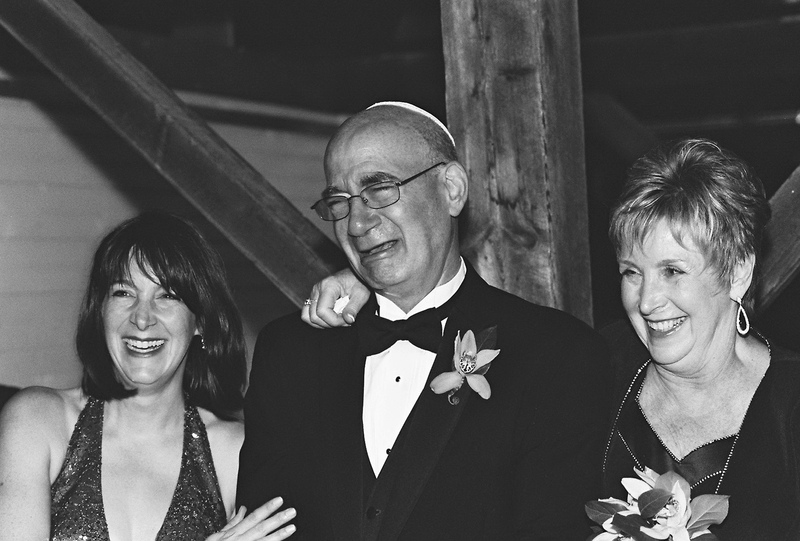 i am such a cryer, and i get it 100% from my dad, who gets it from his irish mother (my grammy) who refers to it as “having a water bladder behind your eyes.” i cry a LOT — books, movies, plays, music, art, yoga, my friends, my family, my husband, celebrations, remembrances, you name it. you should have seen me and my dad at my sister’s wedding! and of all the traits and tendencies i wish i could change about myself, that is NOT one of them… i think it’s a real gift to be able to feel so deeply. it does a number on the ol’ mascara, but i’m okay with that. 🙂 thanks for sharing! love that – “having a water bladder behind your eyes”!! Thanks for sharing back Kate! well … like father like daughter!! Awwww. I remember that well! !